King Mohammed VI has informed the United Nations Secretary-General of Morocco’s rejection of the Polisario separatists’ provocations in the buffer zone, east of the Moroccan security wall, and will inform the leaders of all friendly countries of the latest developments in the region. 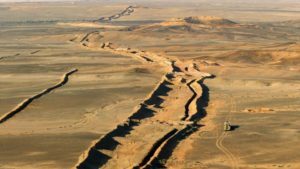 Head of the Government Saad Eddine el Othmani who made the announcement Monday, reiterated that Morocco does not accept and shall never accept any change of the existing status on the ground in the buffer zone, particularly the erection of any constructions. Morocco considers any modification of data in the buffer zone as “an aggression against it,” said El Othmani, who was speaking at a meeting with the leaders of trade unions and of political parties not represented in Parliament. 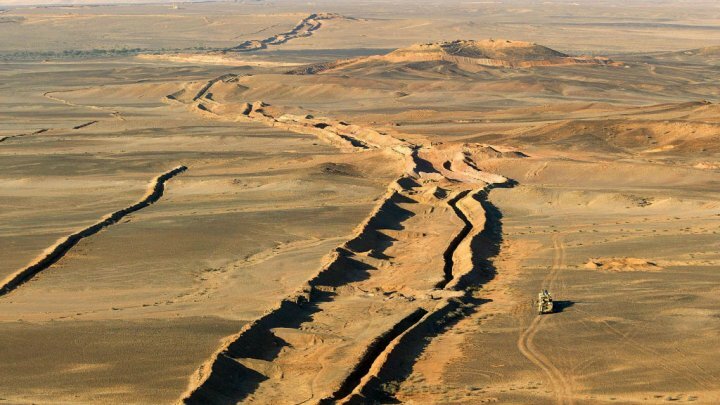 The buffer zone east of Morocco’s security wall is a demilitarized area under the UN-brokered agreements of 1991. The Polisario militias have repeatedly conducted incursions into the area, which was handed by Morocco to the MINURSO, entrusted with monitoring the ceasefire. Recently, the Algeria-backed Polisario revealed plans to transfer its military staff to the demilitarized zones and started mounting tents and military equipment including in Tifariti, Bir Lahlou and Mahbes. Moroccan Foreign Minister Nasser Bourita flew Monday to Paris to inform his French peer of the latest developments in the region. He will later visit Washington on a similar mission. The Monday meeting was devoted to the latest developments of the issue of the country’s territorial integrity and the various initiatives undertaken to defend its sacred causes in international fora. During this meeting, El Othmani called on all political parties and trade unions to mobilize around the kingdom’s sovereignty and territorial integrity, noting that Morocco is supported in this context by UN Security Council resolutions, stressing the need to keep the status of the buffer zone unchanged. El Othmani insisted that Morocco takes the issue of its territorial integrity very seriously, and will not allow the separatists’ access to the buffer zone. The Head of Government also mentioned the steps taken by Morocco to integrate into various regional African groups, its return to the African Union and membership in the AU Peace and Security Council. Thanks to the King’s guidelines, Morocco is consolidating its position in international fora, while the separatists are losing ground, he said. Junior Minister of the Interior, who attended the meeting, explained the developments in the buffer zone and the ins and outs of the separatists’ maneuvers, pointing out that Morocco is ready for all contingencies and that it will not accept the fait accompli policy. The attending unionists and political leaders expressed their total backing to all initiatives aimed at defending the country’s territorial integrity and their determination to face up all the maneuvers meant to undermine Morocco and its national interests. This meeting was preceded Sunday by a briefing before the foreign and defense committees of the two chambers of the Parliament. Foreign Minister Nasser Bourita then made it clear that for Morocco, it is out of the question to change the status quo in the Sahara. If the UN is not ready to put an end to the Polisario’s provocations, Morocco will assume its responsibilities, he said, insisting that Morocco will not tolerate any change in this “demilitarized zone” which is under the exclusive control of the United Nations. Also Sunday, Morocco’s permanent representative to the UN, Omar Hilale, addressed a letter to the Security Council warning that the separatists’ move in the buffer zone represents a casus belli against Morocco. So, Morocco is not ruling out any options, including the military option, to defend its national interests.